Last Thursday, we attended the T3 Conference in Las Vegas, Nevada. We formally introduced our company to the public and our co-founders, Ryan Russell and Nick DiMatteo, gave a presentation on Redefining Design in Finance while showing some sneak peaks of our new version 2 platform. The entire event was streamed on Facebook Live, but if you missed the action then you can still catch the recording now on our Facebook page. With our formal public launch last week, Yahoo! Finance featured our story on its site to explain a little bit about who we are as a company and to describe some of the exciting new features of our v2 plstform! 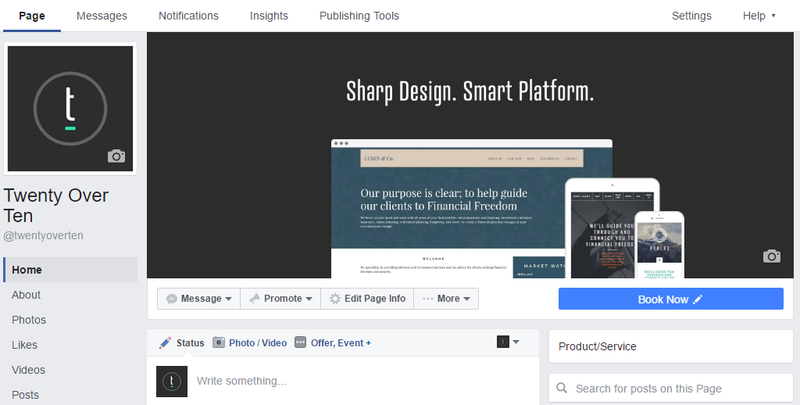 Twenty Over Ten teamed up with eMoney as they created a comprehensive 11-step plan for financial advisors looking to build a new website or revamp an existing site. This blog post explains the importance of financial advisors creating and maintaining an online presence, as well as contains the link to download the eBook. Every month we offer a free educational webinar to our clients and friends. 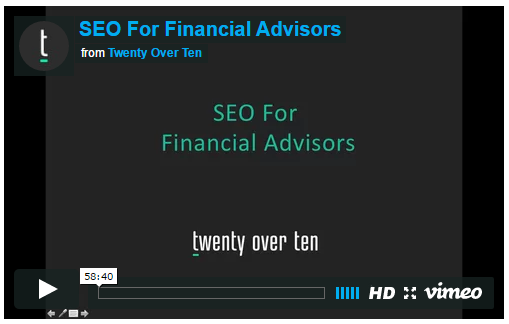 Last month’s topic was “SEO for Financial Advisors”. We covered the basics, but also went through in some technical steps that you may not have thought to consider before. Watch our tutorial, follow our SEO (Search Engine Optimization) tips, and watch your site start to rank higher for the keywords you are tracking!